KAG’s Merchant Gas Group is similar to the company’s other divisions in that it is comprised of best-in-class companies. 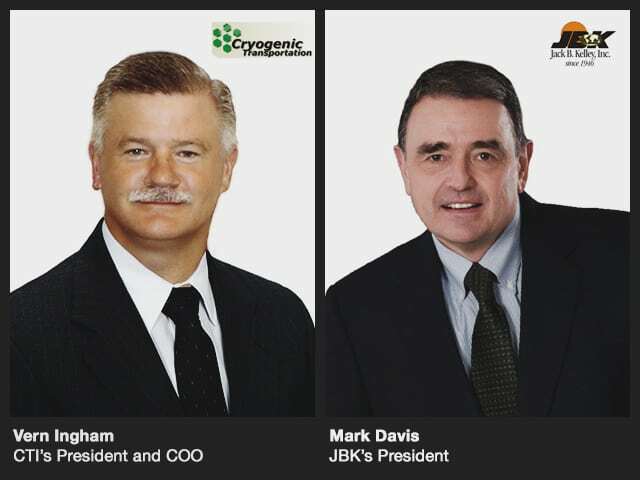 These two well-respected subsidiaries are – Cryogenic Transportation, LLC (CTI) and Jack B. Kelley, LLC (JBK). This combined approach allows customers to benefit from a network of 25 strategically located, full-service terminals across the country, and a fleet of over 400 cryogenic and specialty trailers serving the merchant gas industry. Subscribers of gasworld US can read Agnes Baker’s interviews with CTI’s President and COO Vern Ingham and JBK President Mark Davis by visiting https://www.gasworld.com/interview-kenan-advantage-group/2011619.article. Company leaders discuss the benefits of partnering with KAG, how the change helps them retain their customer focus and continue to operate as smaller companies while they also benefit from the national scale and financial foundation a large corporation offers. Here’s an overview of what the KAG Merchant Gas Group includes. Agnes Baker’s of Gasworld interviews with CTI’s President and JBK’s President. They discuss benefits of partnering within the KAG’s Merchant Gas Group. For more information on KAG’s Merchant Gas Group, call 806.468.1716 or 267.371.5007.